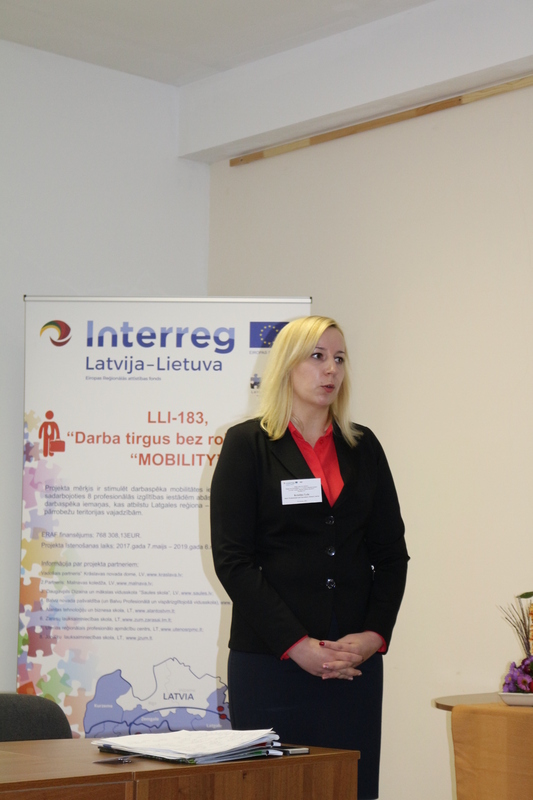 The project is addressing the problem that the workforce skills obtained as a result of the vocational education does not always match the needs of the labour market in the Latvia-Lithuania cross border region, as well as does not fully utilise the possibility to work across the border. 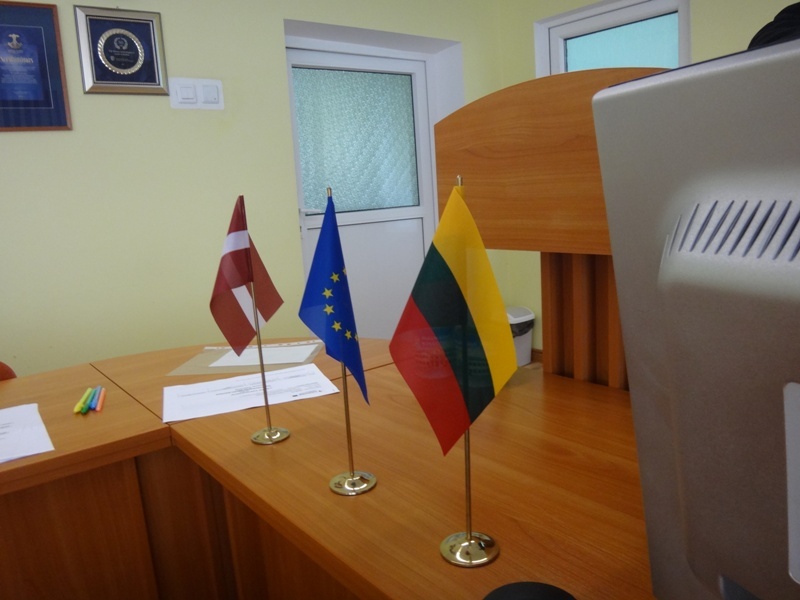 Thus through cooperation of 8 vocational education schools on both sides of the border the project aims at contributing to the increase of labour mobility across the border through improved workforce skills for the job market matching the needs of the Latgale – Utena and Šiauliai cross-border area. 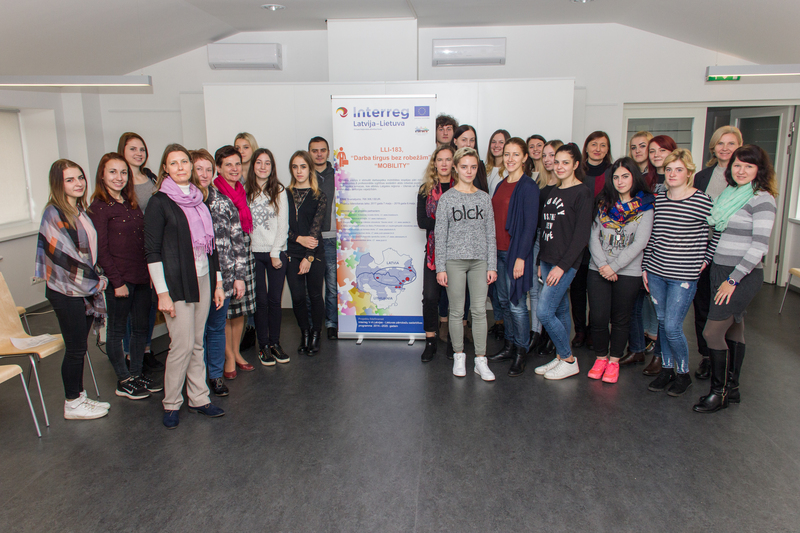 The project is targeted at the students and teachers of the 8 involved schools that through participation in the series of capacity building exercises for teachers and joint theoretical and practical workshops for students will improve their skills and as a result be able to enter the job market across the border thus increasing mobility. 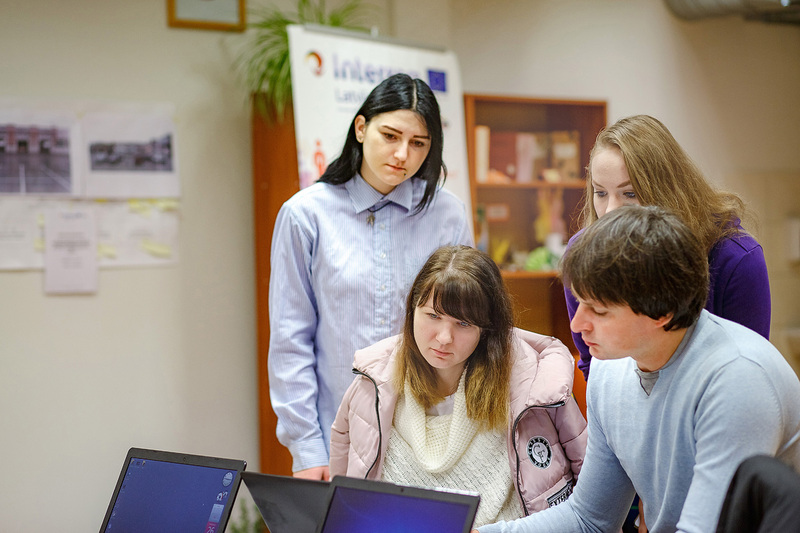 The project activities will be organised by joint cooperation of all involved schools in four inter-sectoral themes: (1) transport vehicle including vehicle technical aspects and interior design, (2) textile and graphic design, (3) landscape design and agro tourism, and (4) agriculture and technologies. 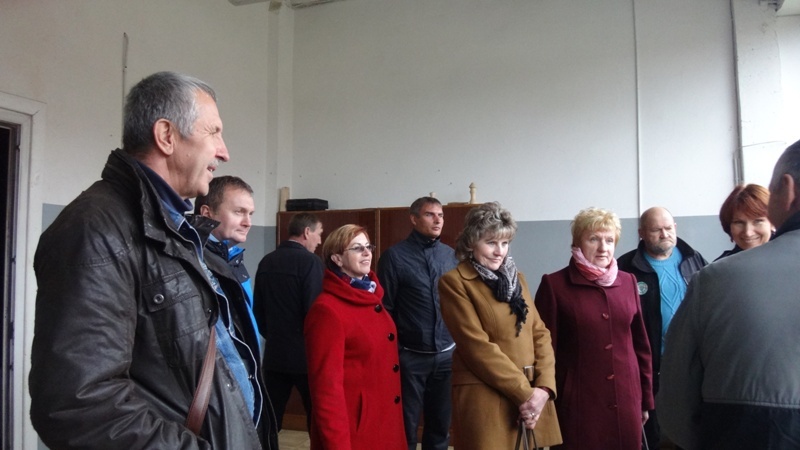 The project also foresees improvement of the offer of education programmes and the respective material basis for the education process of the 8 involved schools, as well as to involve 150 persons in joint local employment initiatives and joint training. 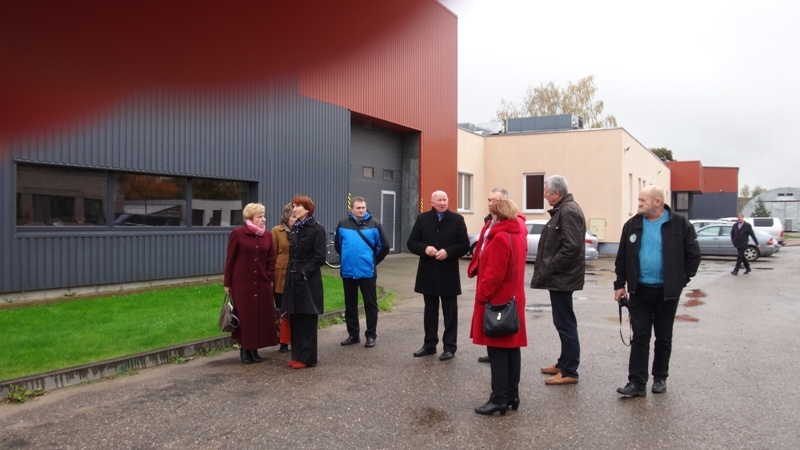 Creative workshop in Utena regional center of vocational education and training within the INTERREG V-A Latvia-Lithuania programme project LLI-183 “MOBILITY”” organized at October 24-26, 2017 in Utena, LT.
Students Visit and field practice to Daugavpils Design and Art School SAULES SKOLA within the INTERREG V-A Latvia-Lithuania Programme project LLI-183 „MOBILITY” organized at October 11-13, 2018. 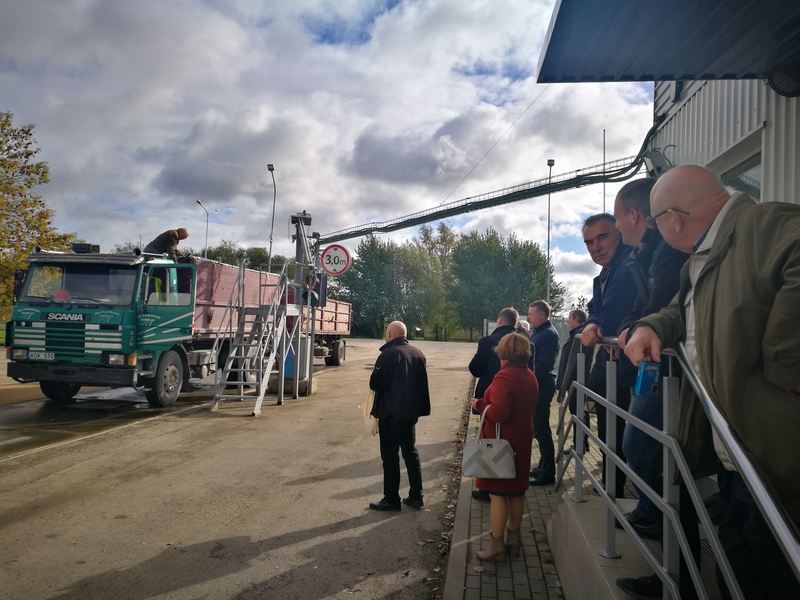 „MOBILITY” has been organized at October 18, 2018 in Balvi, LV. 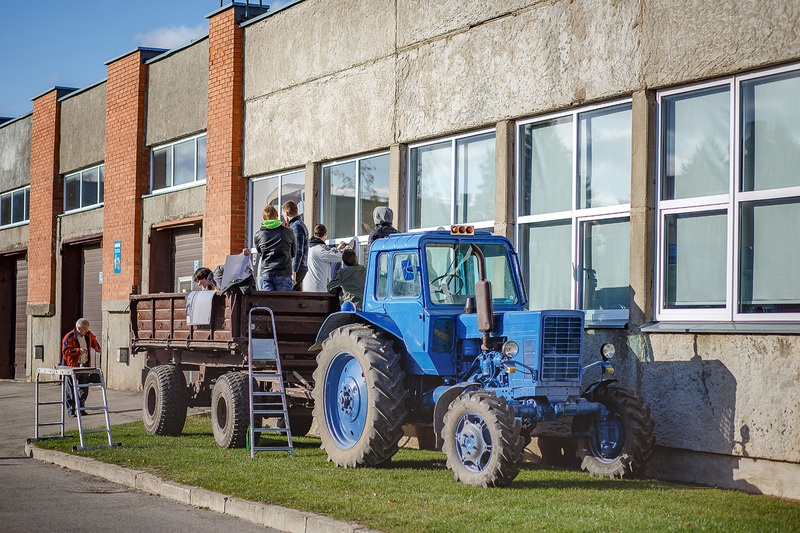 The workpackage „Improvement of workforce skills and mobility” of the project LLI-183 „Labour Market without Borders (MOBILITY)” are organized in four inter-disciplinary themes: 1) „Transport vehicle including vehicle technical aspects and interior design”; 2) „Textile and art design”; 3) „Landscape design and agro tourism”; 4) „Agriculture and technologies”. 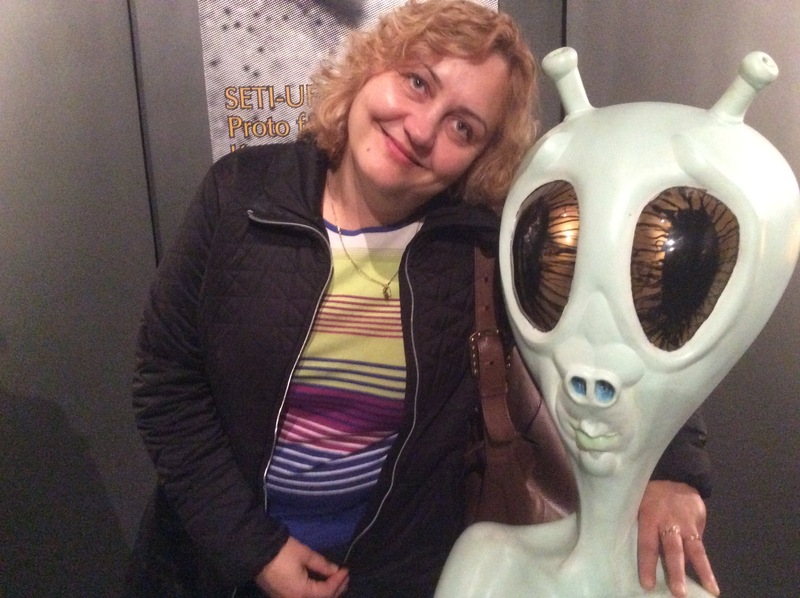 The project activity A.T1.3. 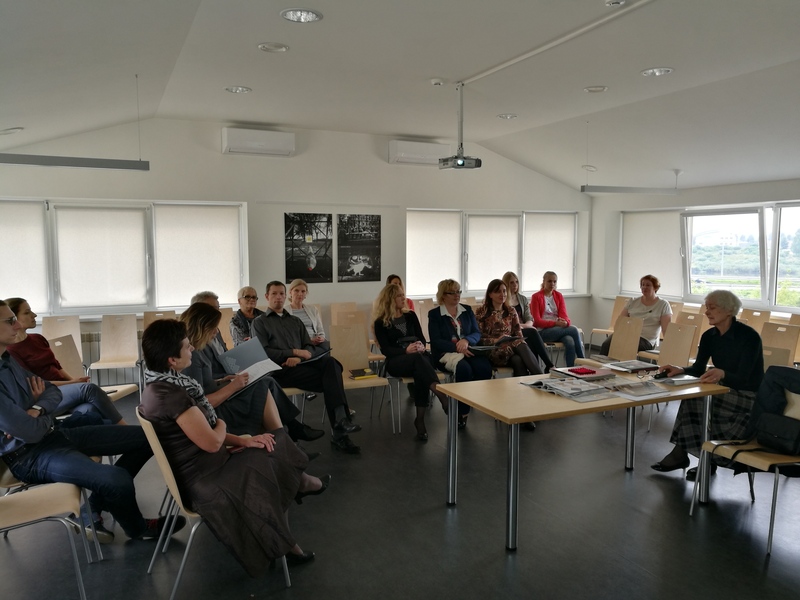 „Study visits for teachers” in the theme „Textile and art design” was organized on 18th October 2017 in the Balvi Professional and Secondary School, where participated 4 project partner schools’ teachers: Riga State Technical School Kraslava Territorial Unit, Daugavpils Design and Art Secondary School „Saules skola”, Utena Regional Centre of Vocational Education and Training, Balvi Professional and Secondary School. 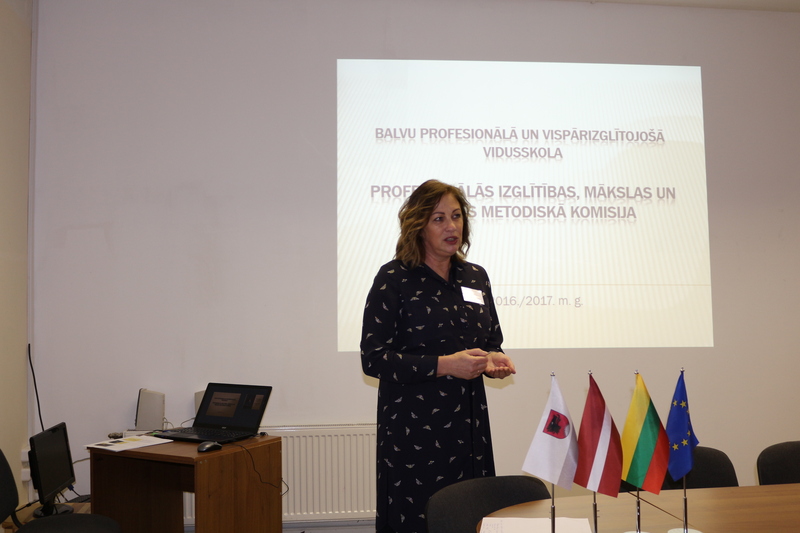 This activity include cross-border exchanges of good practices among the teachers of the involved schools, thereby head of Professional education, music and art methodology commission, Vocational education teacher Anita Matule-Bordāne presented professional education pogrammes of Balvi Professional and Secondary School including the organization of the study process, competitions, fashion shows, as well as the achievements. 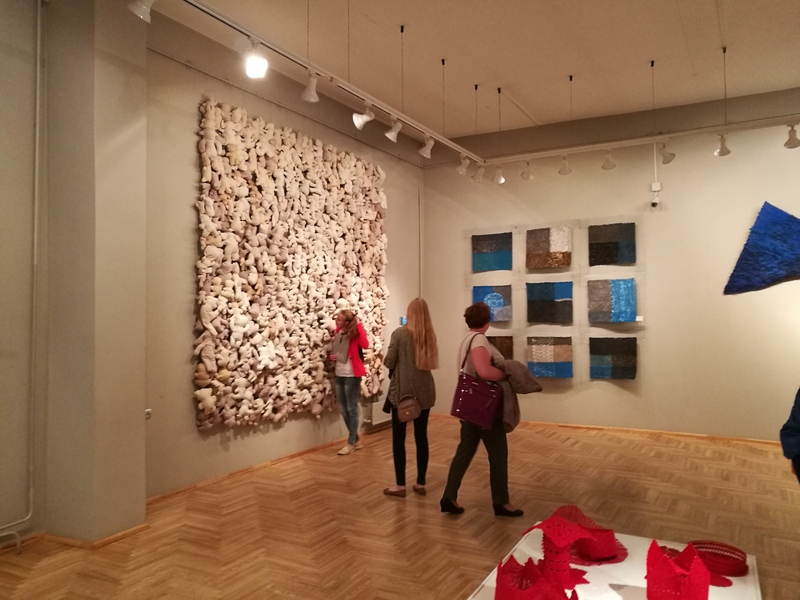 After presentations, the guests got inspired sources of exterior design in the town of Balvi and the Balvi County Museum where were demonstrated non-standard solutions in textiles and art. 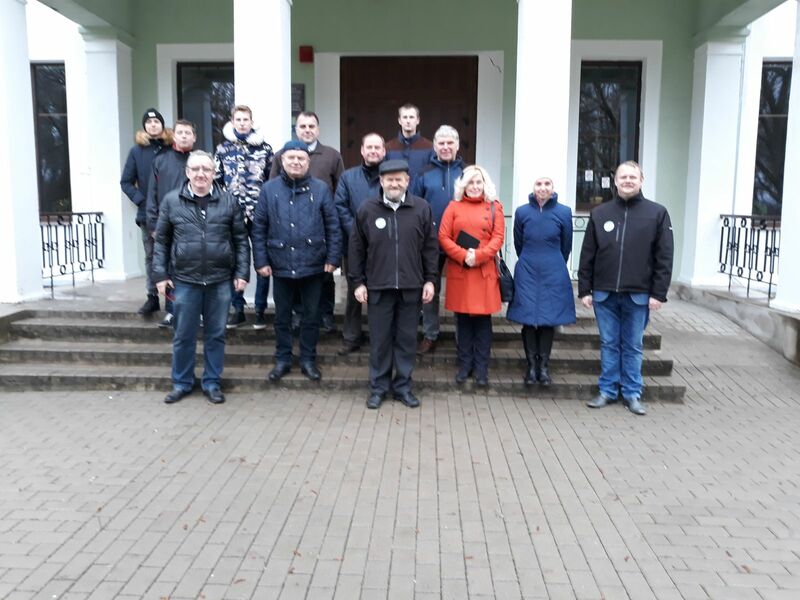 Project partners were introduced to the environment of the educational institution and its material and technical provision. 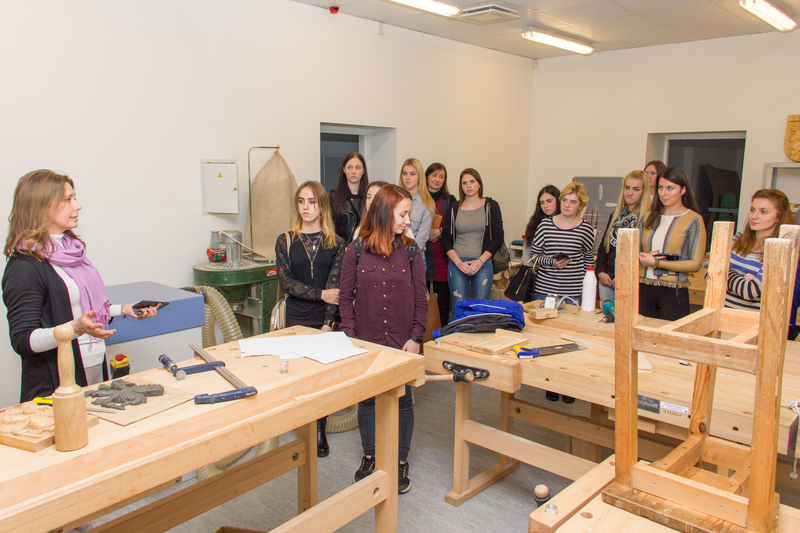 A.Matule-Bordāne and Ēriks Kanaviņš, teachers of vocational education programmes „Sewn products manufacturing technology” and „Production of wooden products”, shared their practical experience, responded to the questions of interest and demonstrated their work environment in workshops where costumes are made and where are made things from wood. 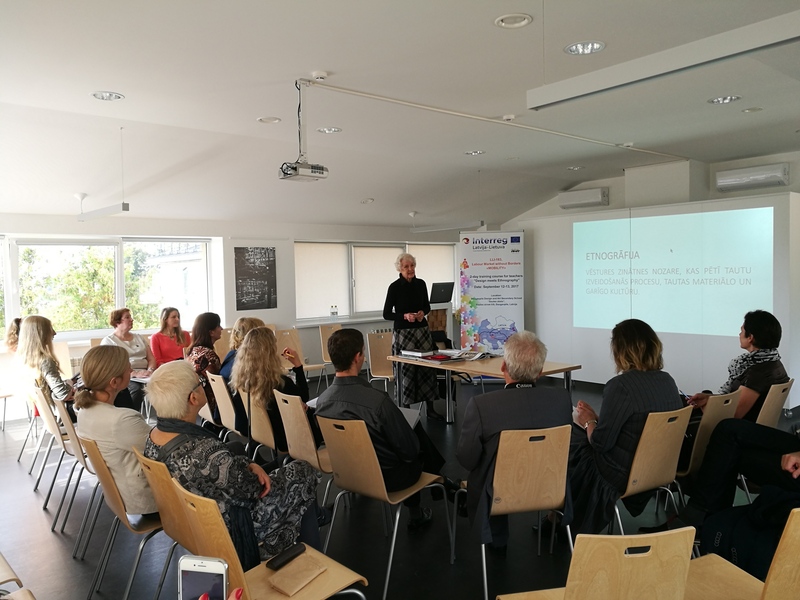 At the end of the activity the project coordinator Kristīne Lele actualized the issues related to the implementation of the project. 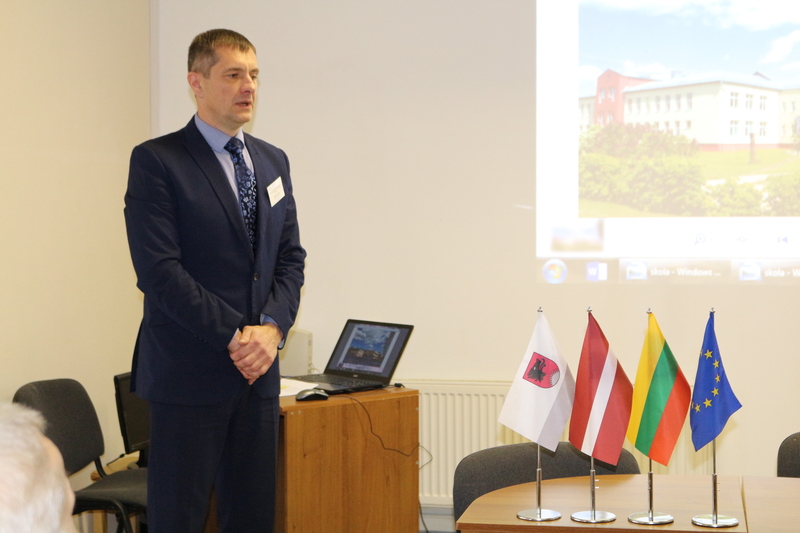 The questions was discussed about project activity. 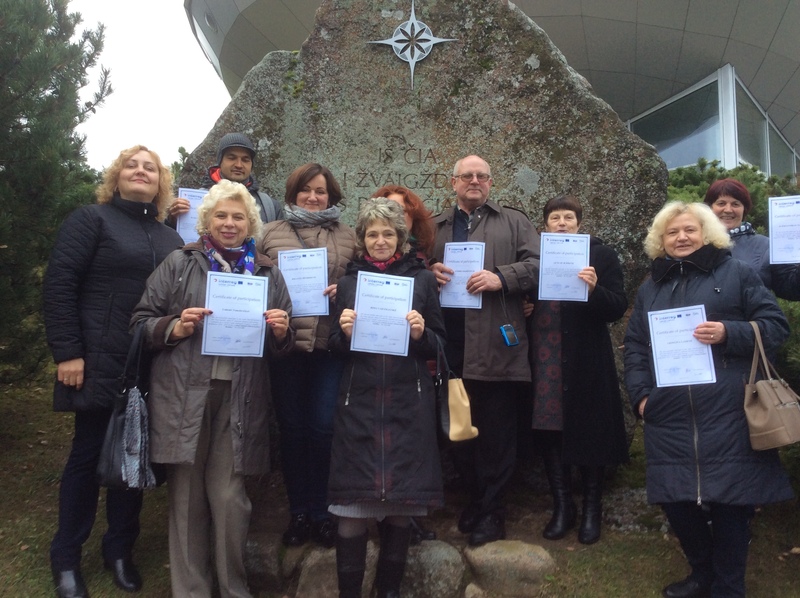 The activity participants got project evaluation sheets. 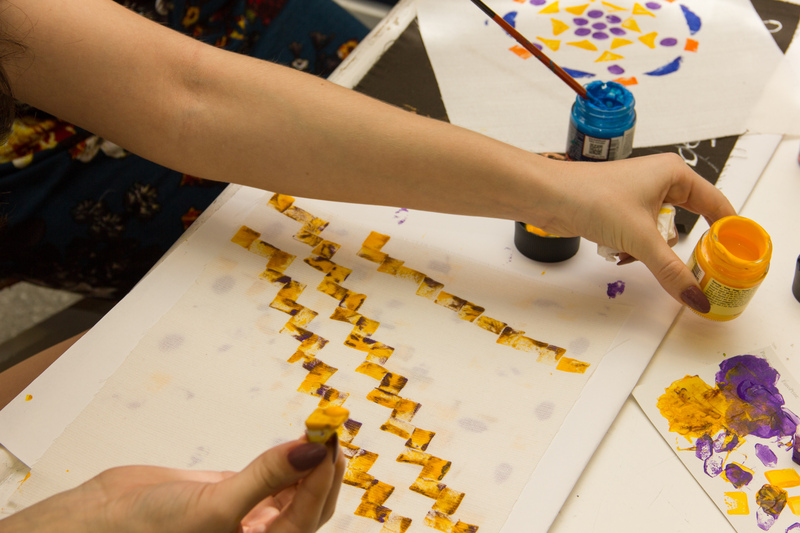 Most participants rated activity with the highest score. 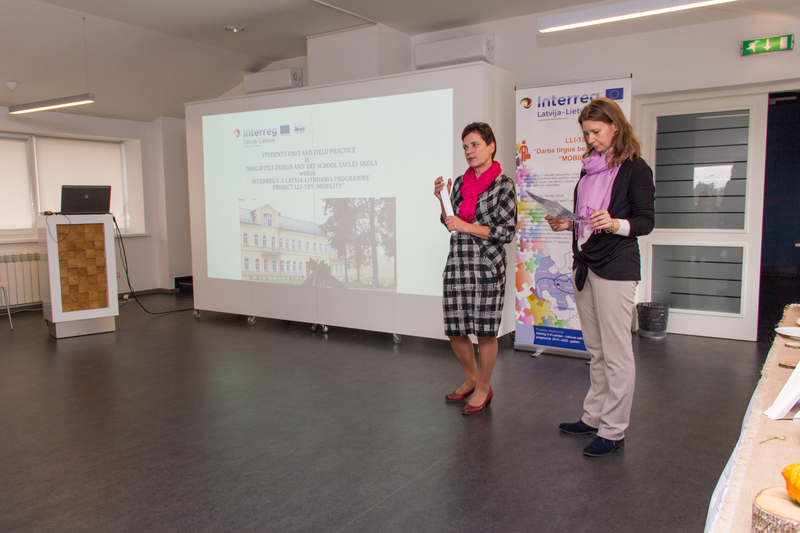 withint he INTERREG V-A Latvia-Lithuania programme project LLI-183 “MOBILITY” organized in Utena, LT at October 27, 2017. 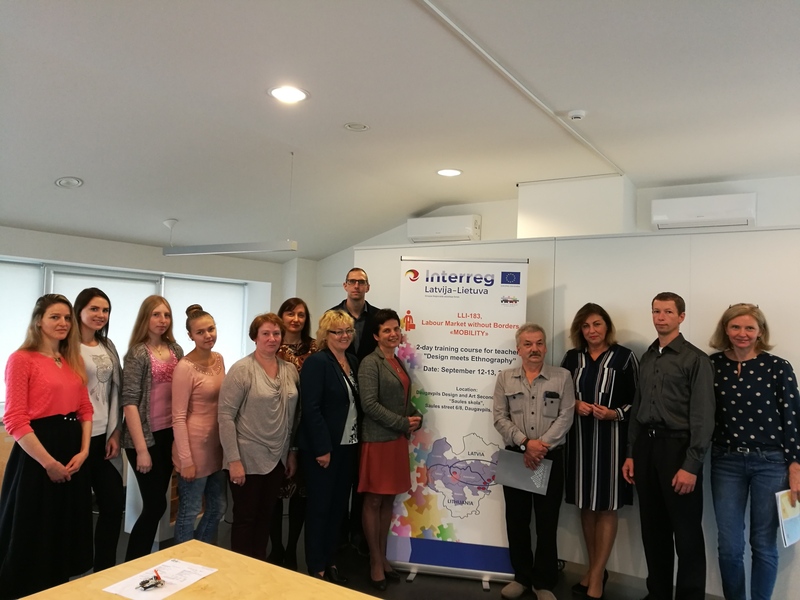 Theoretical Training for Teachers “Good practice of theoretical and practical training for agricultural subjects” within the INTERREG V-A Latvia-Lithuania Programme project LLI-183 „Labour Market without Borders” / „MOBILITY” has been organized in Alanta school of technology and business, Lithuania , October 10, 2017. 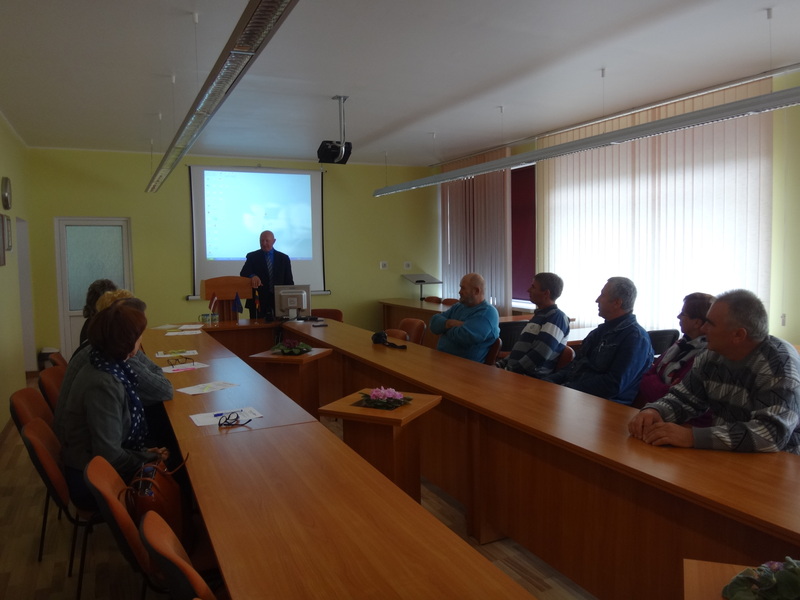 During the 1 day visit in Alanta school of technology and business, participants from Joniskis ZUM, Zarasai ZUM, Malnava Koledza and our own teachers have been presented of our school, our methods used in classes for theoretical and practical learning and teaching, had the presentation of scool’s theoretical and practical base, were introduced to our interactive learning system for agricultural specialities. 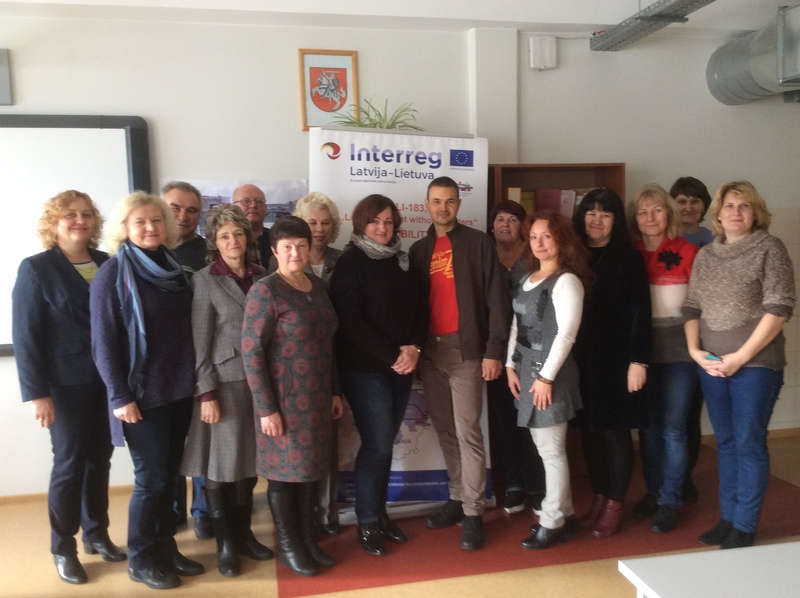 Teachers from partner schools were given the passwords to our interactive system to use in their schools in agricultural specialities lessons. 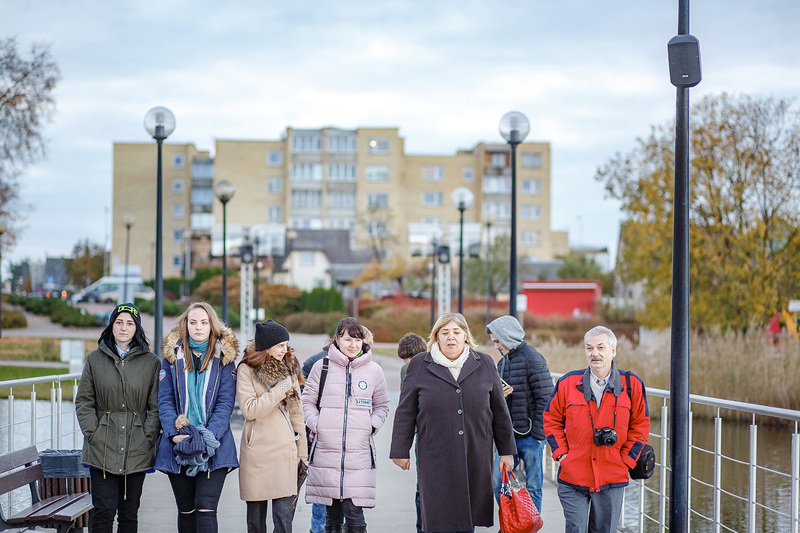 The evaluation sheets were passed for participants to fill. 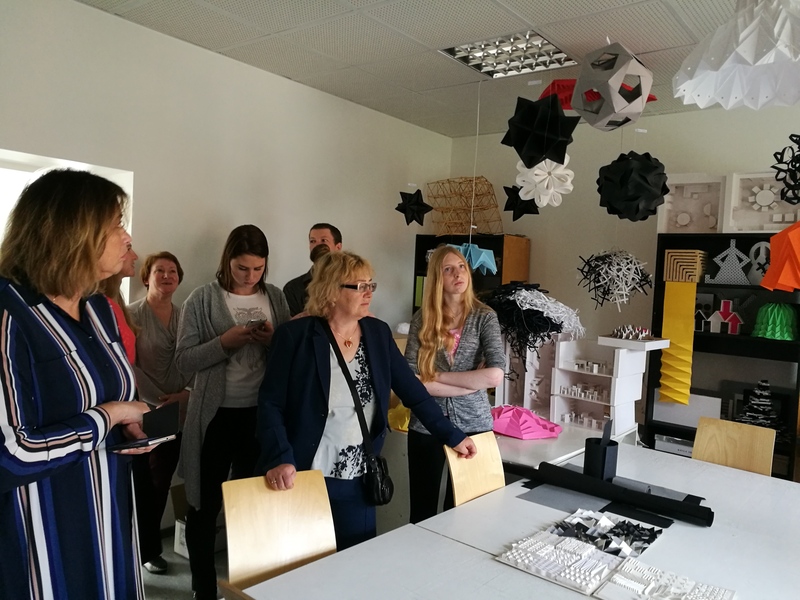 To summarize the evaluation: teachers were happy with information gained during the visit, were thankful for new methods presented and possibility to use our new system for their teaching. (Some evaluation sheets attached). 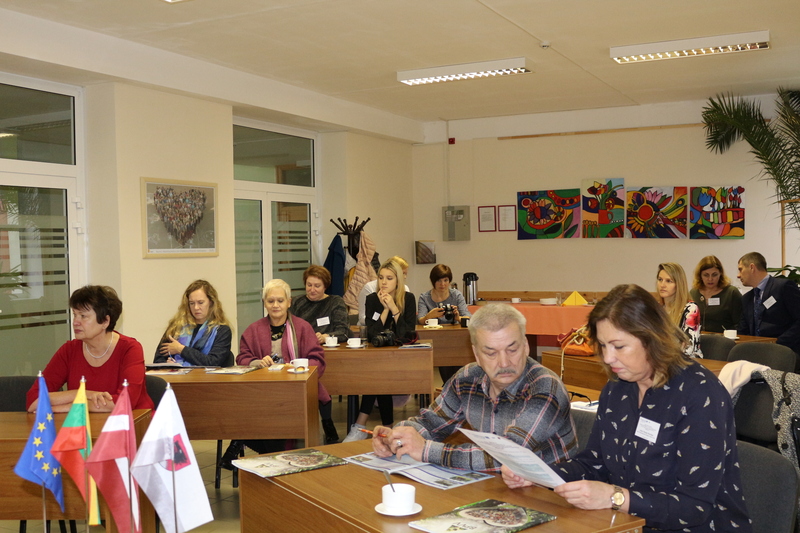 To summarize the event: the visit was fruitful, the main outputs are reached: teachers have enriched their skills, have been given new instruments to use in theoretical and practical teaching to use their schools. 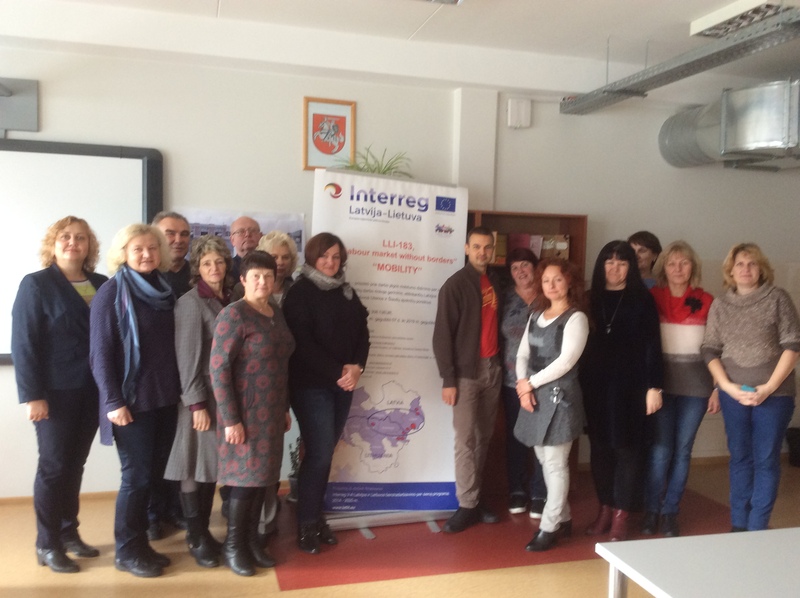 Study visits for teachers to Malnava College within the INTERREG V-A Latvia-Lithuania Programme project LLI-183 „MOBILITY” organized November 2, 2017.